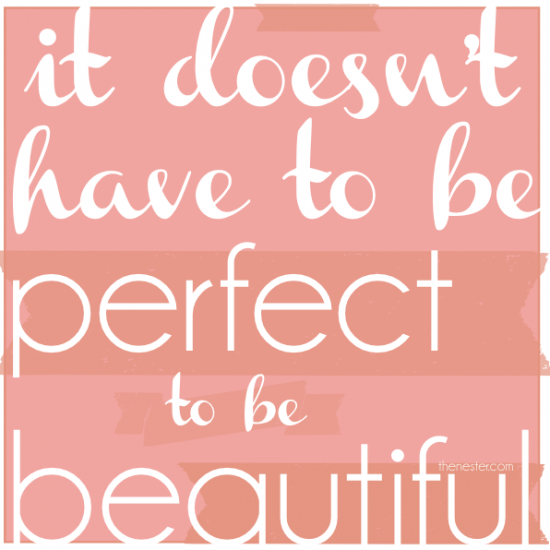 The Nester is hosting an "It Doesn't Have To Be Perfect to Be Beautiful" blog party in which we celebrate the imperfections of our home. Brilliant, right?! Oh boy, is our house imperfect. Flaws galore! 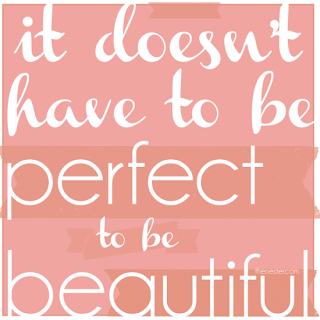 I chose three of my favorites (out of hundreds of flaws and imperfections) to show you how awesomely imperfect it really is. First of all, we have a highwater problem in this house. Not highwater pants– highwater curtains in our living room! My infuriating adorable husband could not stand the way our extra long Ikea curtains were pooling on the ground, and he kept bugging me to hem them. I hadn't gotten around to it, so one day he decided to take it into his own hands. It worked out perfectly! Look how great our curtains look now! Let's just keep going with the imperfections, shall we? How fantastic is this random spot that our painters forgot to finish? It's been months since they painted and we still haven't fixed it! How hard would it be to grab a dot of paint and fix that? Clearly way too tough for us! Now, onto the next flaw. Is it weird that I like weeds? I mean, how pretty are these weeds spilling out of our planter boxes? We do NOT have the perfect lawn or the perfect trees or the perfect planter boxes. Nothing green within our home's vicinity is anywhere near perfect! But these weeds spilling out of our planter boxes? I am totally embracing them because I like how they look. Is that really so wrong?! 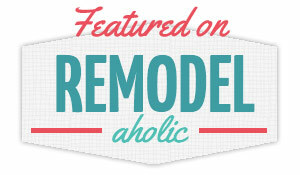 So, what's imperfect about your home? Is there some small flaw that drives you nuts?